17 Years in Private Practice! Place Your Health In the Hands of Experience! Greenville Chiropractic, P.C. has served Greenville and the surrounding area for over 50 years! Dr. Dennis Hayes, Dr. Matthew DeKraker and Dr. Craig Cushman offer the finest in their facility and treatments. Our 7600 square foot office was constructed in 2006 and has the most advanced chiropractic and massage therapy treatments available. What Is Happiness? Happiness Is Pain Free. Resilient Health & Performance takes training back to its fundamental roots. Competitive, active athletes often think that their lifestyle requires lengthy recovery and rehabilitation. But moving in more progressively complex patterns will allow your body to reward you with pain free movement. We are a full service Chiropractic office. We treat musculoskeletal conditions without drugs or surgery. Some of the conditions we have experience with are neck and back pain, headaches, joint pain, work and auto accident injuries, and chronic pain. We accept most insurance including group health, PPO's, worker's Compensation, and Auto Accident insurance. 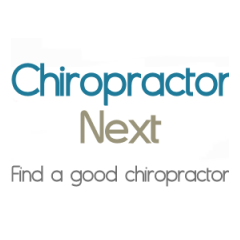 Chiropractic solutions to address your unique needs!